What is sustainability? 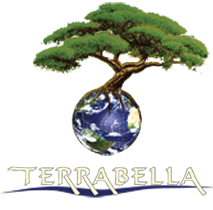 | TERRABELLA, inc. In a nutshell, something is sustainable when as much, or more, goes back into it as what was taken out. Often the words ‘Green’ and ‘Sustainable’ are used interchangeably, but they are not. Something may be considered ‘green’ because it is healthy, natural, chemical free, or perhaps meets some standard that is relatively ambiguous in the first place, but makes us feel good about it. However, ‘Green’ may not truly be sustainable. The end product may be green for the end user, but the ultimate path it took to get there may not be sustainable. For example, a house may be considered ‘green’ because it is built off grid, has solar panels to power it, uses straw bales and recycled tires for insulation and uses recycled rainwater to irrigate plants. However, the process of building this ‘green’ house out in the middle of nowhere, requiring great quantities of fossil fuels to produce the solar panels, import the materials and construct the building may not prove to be sustainable in the long run. Sustainability starts with conservation. The less we use, the more there is for future generations. If, while we use a natural resource we can find a way to replenish it at the same rate or a greater rate than what we take, we can guarantee that future generations will also benefit from that resource, making for a truly sustainable future!